A promotional T-Shirt for the “Heavy Metal As A Religion Census Campaign” by British heavy metal magazine Metal Hammer. This is an article that I wrote for the Religious Studies Project in response to their interview with Professor François Gauthier from the University of Fribourg. Published by the Religious Studies Project on 9 October 2013, in response to François Gauthier’s interview on Religion, Neoliberalism and Consumer Culture (7 October 2013). In this thought-provoking interview, Professor François Gauthier from the University of Fribourg gives his remarks on a variety of theoretical, methodological, and empirical issues in social sciences. It would be impossible to cover even a tenth of those issues within the limits of this brief article, so I will restrict my response to two themes only: defining religion and critiquing secularization theory and post-secularity. 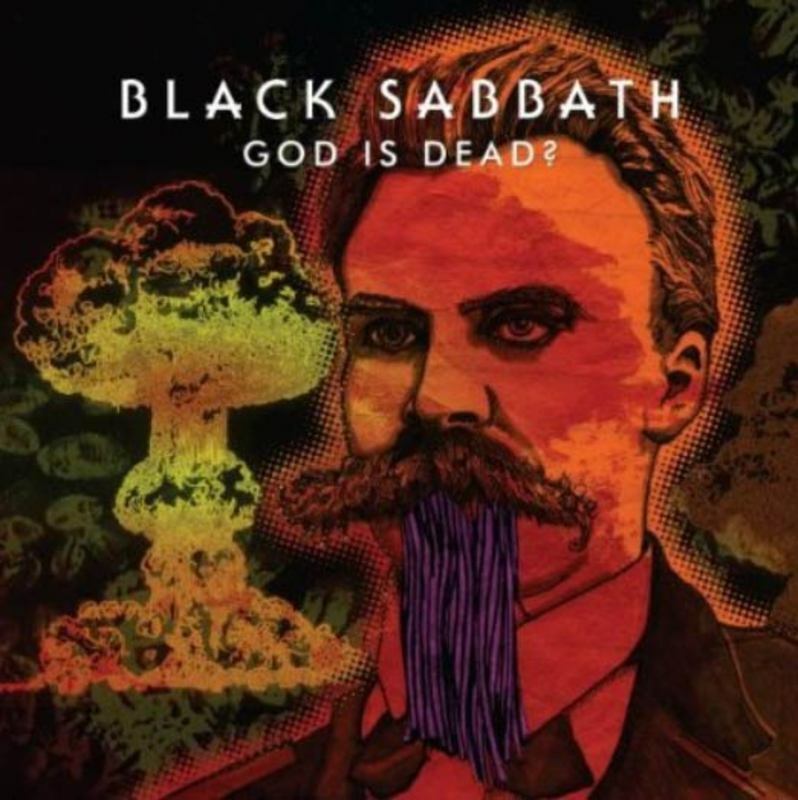 The cover for Black Sabbath’s single: God is Dead? My previous post in this blog, Behind the Western Horizon, was perhaps very emotional and cathartic. It might have been the stress that I came under during preceding two weeks, when I often spent more than 12 hours each day in my office—staying sometimes past midnight—researching when, why, and how people choose to believe or disbelieve. So in a moment of personal fragility, I wrote down whatever thoughts and questions were “moshing” inside the walls of my exhausted head. Today I noticed that these thoughts, interestingly, resonate with the lyrics of a song from Black Sabbath’s latest album 13, which I have been listening to very often—almost daily—during the past month. When I wrote my previous post, I wasn’t particularly thinking of that song, which is for me very aptly titled God is Dead? (note the question mark!) But it seems that metal music, as usual, speaks for me—at least with respect to religious themes—even when I don’t try consciously to relate my own thoughts about religion to it. This time, however, I will try to use the lyrics of this song to talk about some issues related to religion and belief.